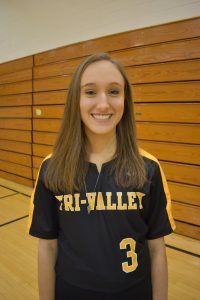 Coach Laura Seward’s Tri-Valley varsity softball team is on a roll, picking up three Muskingum Valley League wins this week, running their winning streak to 10 games, and improving their overall mark to 12-2, with a 7-1 record in conference play. Wednesday, April 10, in New Concord, the Lady Dawgs spotted the host John Glenn Lady Muskies a 1-0 lead, then picked up three runs in the top of the third inning, tacked on a run in the fourth inning, then plated four runs across the plate in the fifth inning for an 8-3 lead that held up for the important MVL road win. Senior mound ace Janessa Dawson (pictured below) earned the win for the Lady Dawgs with a complete game five-hitter with four strike-outs. 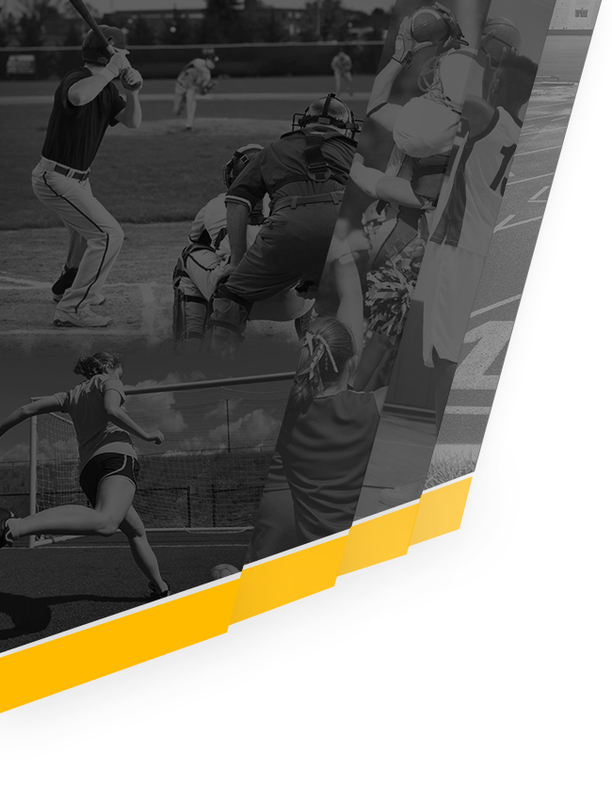 Dawson also provided some fireworks at the plate, providing the go-ahead run with her fourth inning solo home run, and adding a third-inning single as well. Lady Dawgs Brynn Miller (No. 3) and Brooke Hunter (No. 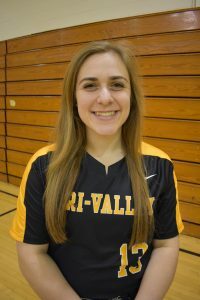 12) (both pictured below) led the Tri-Valley 13-hit attack with three hits apiece. 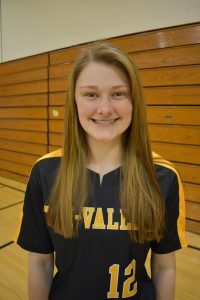 Miller and Hannah Worthington topped rbi leaders with two apiece, while Savanna Shumway, Kearstin Dumolt, and Maddy Wortman added singles as well for the winners. 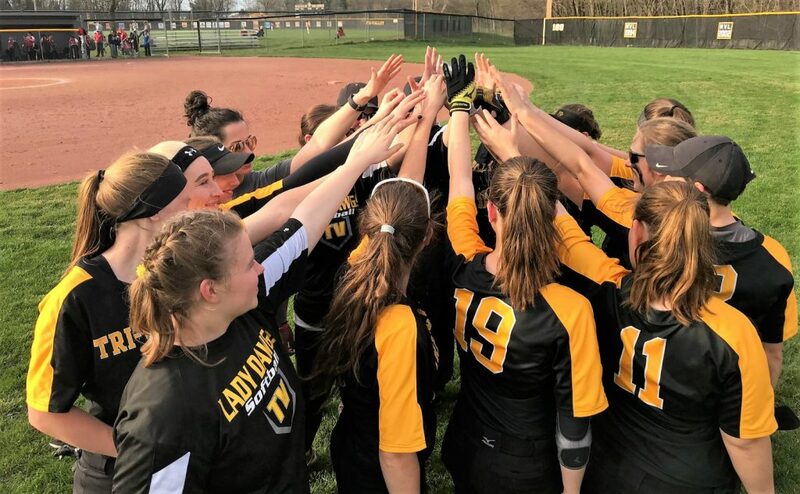 Thursday night, April 11, the Lady Dawgs made their return to Kenny Wolford Park and their home Don Barcus Memorial Field a good one, shutting out visiting Crooksville 6-0 for their seventh MVL win of the 2019 season, to stay just one game behind conference unbeaten leaders, the Sheridan Lady Generals. TV’s Janessa Dawson was the difference maker again for the victorious Lady Dawgs, and again, it was on the mound and at the plate. 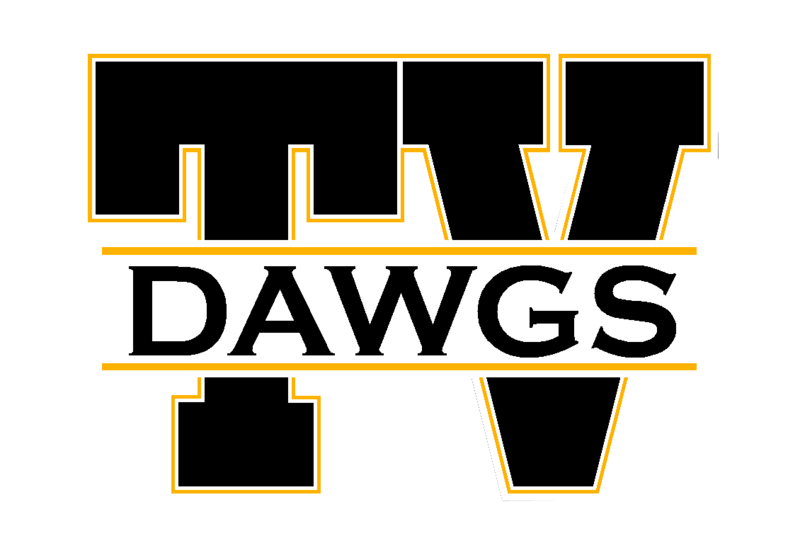 Dawson twirled a gem for the winners – a three-hit shutout, with nine strike outs and no walks for the black and gold, while her first-inning three run double provided all the offense the Lady Dawgs would need. The Lady Dawgs added three more runs in the bottom of the sixth inning, thanks to rbi base hits from Alex Lemley and Brooke Hunter. Hunter led the TV seven-hit attack with a pair of singles. 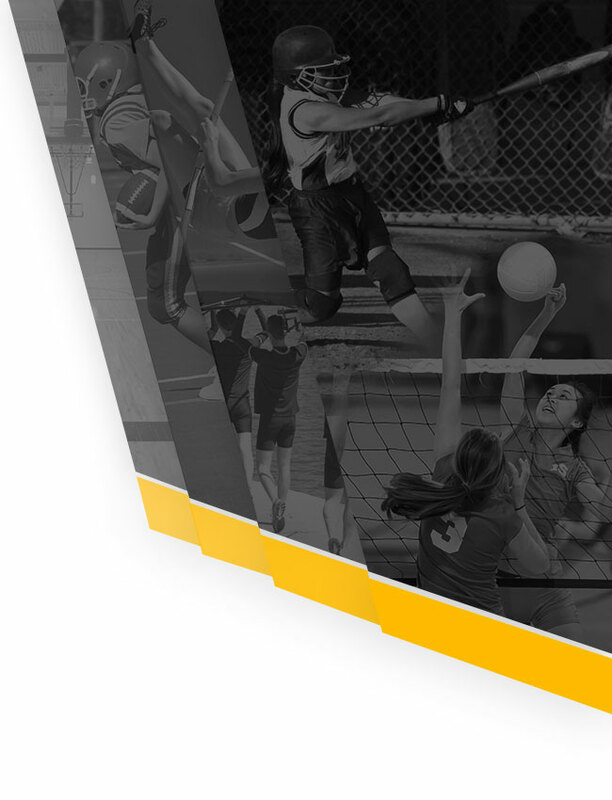 After a weekend, non-conference road trip to Garaway, the Lady Dawgs jump back into MVL play on Monday, April 15, with a bus ride to McConnellsville to battle the Morgan Lady Raiders, then return home on Thursday, April 18 to host the New Lexington Lady Panthers.